I've been riding snowmobiles since I was a kid, getting started by my Grandfathers. Sleds I've grown up on; 1974 John Deere JDX, 1973 Suzuki 292, 1972 Ski-Doo 292, 1975 Raider twin track 440, Arctic Cat Lynx, Arctic Cat Jags-250, 340, &440's, Polaris Indy 400, 488 Trail (which I still own). Most riding was done at my Grandparents place around Hesperia, Ferry, Shelby and Hart. My first trip to the U.P. was when I was fifteen, we stayed at the Taquamenon Inn in Hulbert. The first sled I ever purchased was a 1972 Ski-Doo 292? I was about 14yrs old and the time, I bought it for $150. I rode it around the field by my house in Allendale, the ski's kept falling off, and I sold it. Second sleds I purchased was the two Polaris Indy's from my Grandfather in 1997. After a few trips to Gaylord and spending hundreds of dollars keeping those sleds on the trail, I bought my first real sled, a 1998 Yamaha SRX 600. I have now owned six Yamahas, Five SRX's and a Bravo. They are by far the most reliable sleds I've ever riden, not to mention the fastest too. 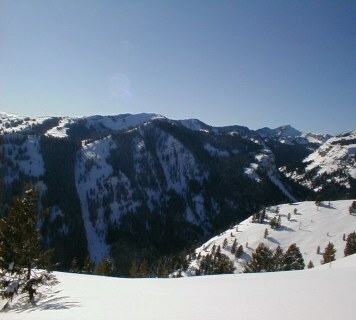 Most of my snowmobiling is done in the lower UP around the Irons area. Some long weekends are made to the Upper Peninsula, where I like to ride Trout Lake, Paradise, Soo, Newberry, & Grand Marias. I also enjoy the trails south of Grand Rapids in the Allegan trail system when the snow is good. 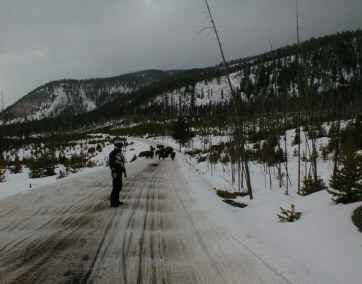 In the spring of 2001, I made my first trip out west to Yellowstone. I spent a whole week riding the mountains and trails of West Yellowstone, Big Sky, Two-Top, Lions Head and Island Park, ID. It's the best riding I've ever done. Now, how do I get there from here?? 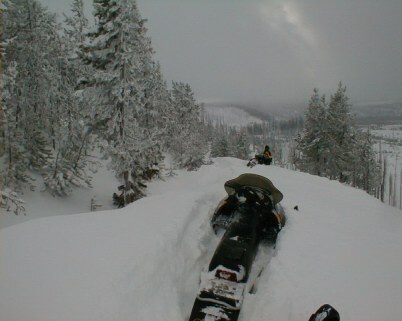 Five foot drifts for three miles, way to much fun!! Playing chicken with two-ton Bison in Yellowstone. 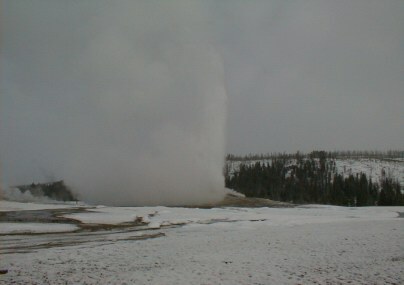 There she blow's, Old Faithful.